SHARE Need For Speed The Run>> Which One Will You Drive? Need for Speed The Run starts hitting shelves today – the European launch is this Friday – and there's some aspects to the game that we thought you'd find interesting. The Run features actors Sean Faris and Christina Hendricks (yes, of Mad Men fame), so it made sense for actual cars to be included too. Rod, Carl, Andy and I were entrusted with coming up with a short list of real-world cars that would gel with The Run's cross-crountry street racing theme. And I think we came up with a pretty strong selection. 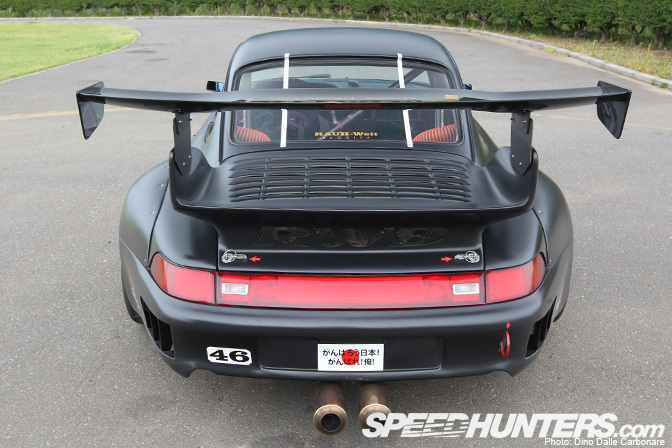 Obviously, one of the first things to cross our minds was RAUH-Welt. 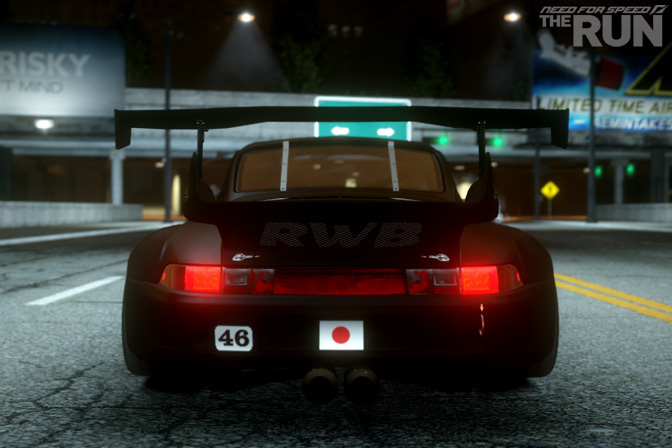 I mean, wouldn't it be awesome to bring RWB into the virtual world? 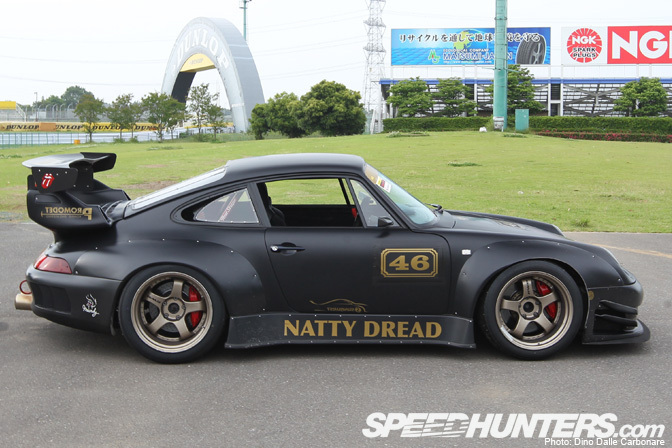 We tentatively asked about the Natty Dread 993 and, after many discussions, Dino soon found himself at Tsukuba shooting the hundreds of reference photos that are required by the game designers. Recreating virtual replicas of actual cars – particular custom creations such as this – requires an incredible amount of work from the NFS car design team. In the coming days we'll have an article on the various processes involved in taking a real car and creating an in-game representation. A massive thank you to Nakai-san from RWB, Promodet and Natty Dread's owner, Keiji-san, for allowing everyone to get behind the wheel of a RAUH-Welt Porsche. We wanted some diversity with our selection of real world cars, so we started brainstorming other crazy street cars we knew of. 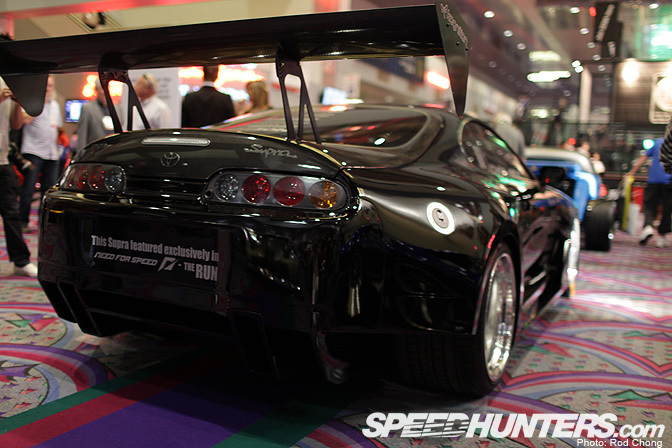 One of the cars that came up in conversation was Chris Rado's insane 2500hp Toyota Supra. Chris has been quietly building this Supra – which is his idea of the ultimate street car – for many years and it was finally nearing completion. It was a perfect fit for The Run. Rado's Supra, quite literally, is a no compromise street car. 10,000rpm 6.2L V8, titanium turbos, custom Brembos, metal wide-body, and custom HRE wheels. I don't know if I'd be game enough to ride shotgun in the real Supra (if you've ever been a passenger with Chris you'll know what I mean), so I'll stick to driving the virtual version for now! 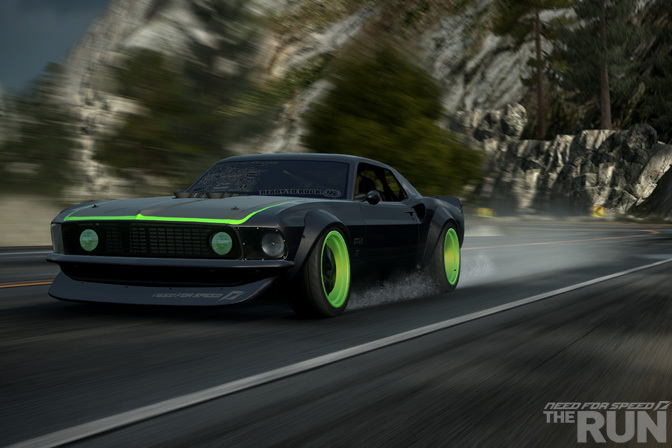 Another tough street car in the Team Need for Speed family is of course, the RTR-X. Those who are NFS fans will already know of its inclusion in The Run, however something which is a secret is the exclusive live action RTR-X video. Stay tuned. 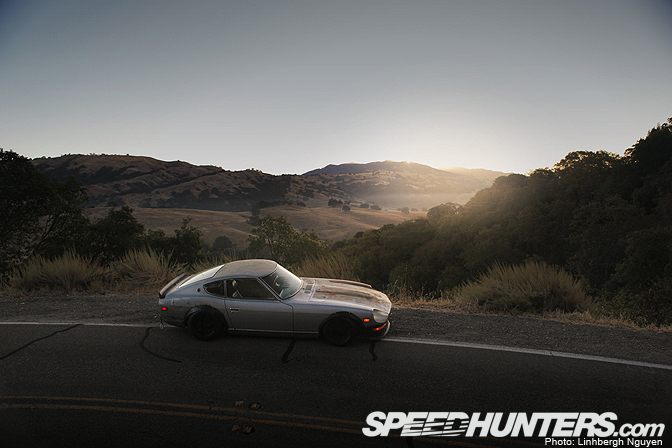 When Speedhunters was given the chance to include these real-world street cars in Need for Speed The Run, one car that Rod, Andy, Carl and myself all agreed upon was Yuta Akaishi's S30. 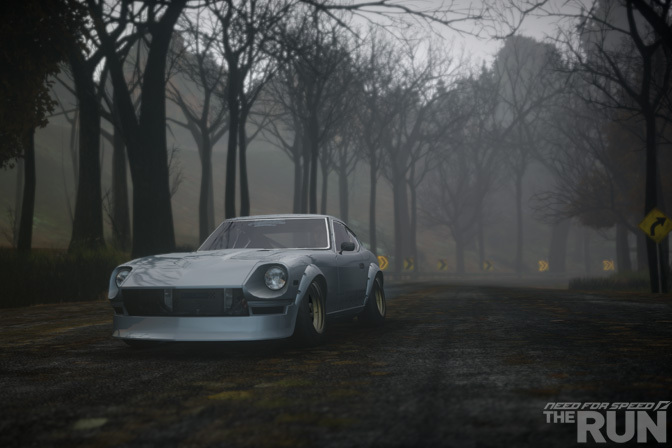 Yuta's Datsun is a special street car that has captured many people's imaginations. 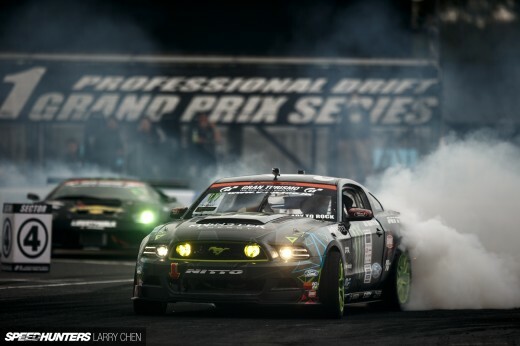 Its various guises have set the internet on fire and it has deservingly won a swag of Speedhunters Awards, which are determined by public votes. The S30 is currently being rebuilt, and Yuta kindly let us in on his future plans so we could create a virtual representation of what it will look like. Need for Speed The Run is a unique take on the genre, and is set as a cross country race from San Francisco to New York. Question is, which of these cars would you pick? 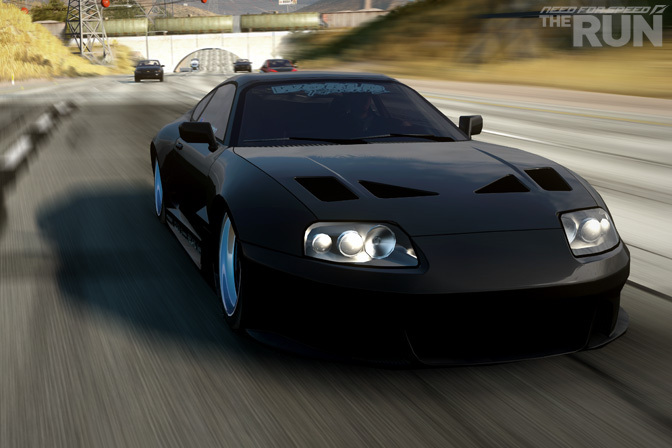 as much as i love RWB and the 'zombie S30' you cant ignore a 2500hp Supra.....Beside Saints Row 3.....THIS FRIDAY!!!! WOOOOP! this looks really fun. take my money now. Bring on friday already pre ordered it. 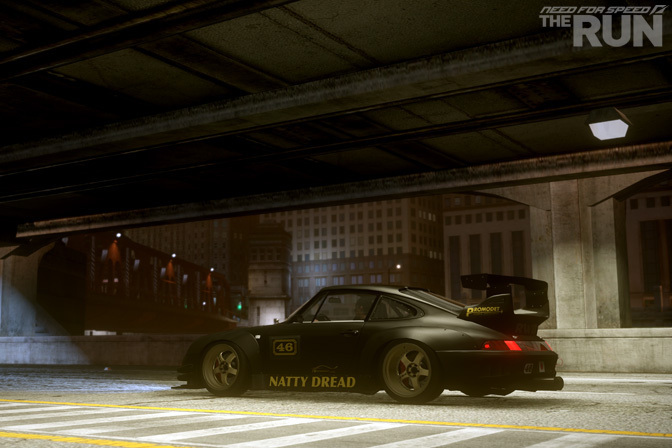 I'd have natty dread since i've been waiting for ages for RWB to feature in a game. Great to see that you guys are including some "rad rides" in the game. But you guys really need to use a new engine for the graphics. The graphics just don't look that good anymore. Since you guys are EA, why not utilise the Frostbite 2 engine EA & Dice used for the production of Battlefield 3, and apply that graphics engine to making the cars look better than any other game? that said i've really began to sink myself into the RWB world, excited for all of these to be honest. Man, sick cars. 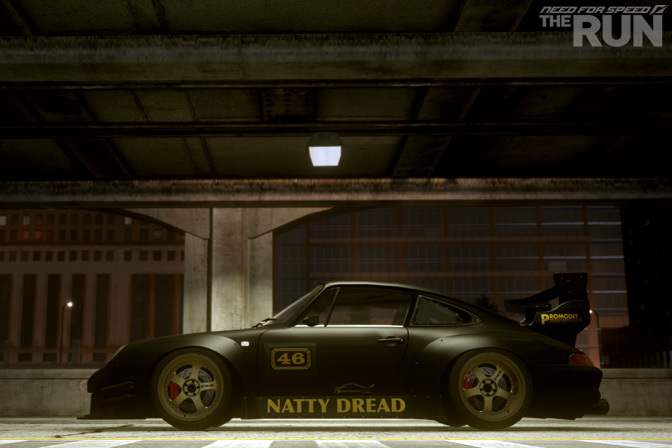 I can't wait to drive Natty Dread. Props to Yuta for being a normal guy whos car is now in a game. Mad props to him. Offsets on the wheels are hella' sunk compared to their real life counterpart. 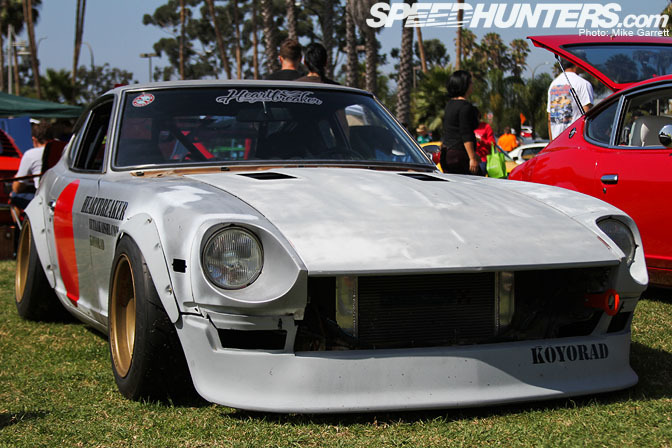 There have been Z's slammed to the ground way before yuta. it gets tiring when people keep refereing to his Z. regardless, i'd drive the Z with Rado's drivetrain! None. Half the posts on speedhunters these days aren't even about going fast. Am I the only one who noticed that the RWB car has more ride height in the game than in real life? I'm not a gamer, but that's prettty rad.Seems to usually be the opposite, which is a testament to RWB and the NFS team..... Keep up the good work. And maybe add a boosted SR 510. Thanks. Awesome work! Game looks great! Need Mad Mike's 4 Rotor FD (Madbul). 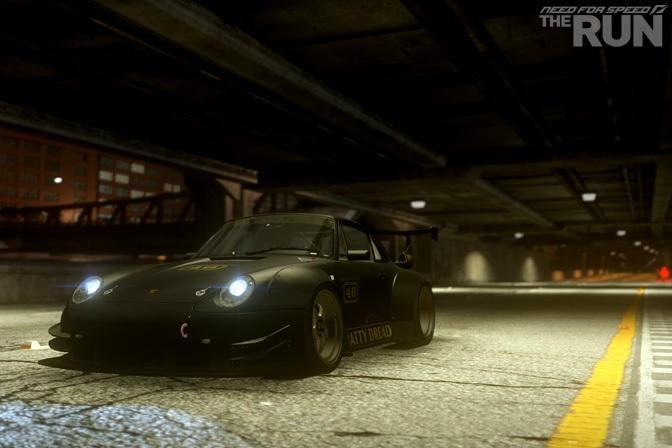 And also get these cars into NFS World! I know the RTR-X is already. 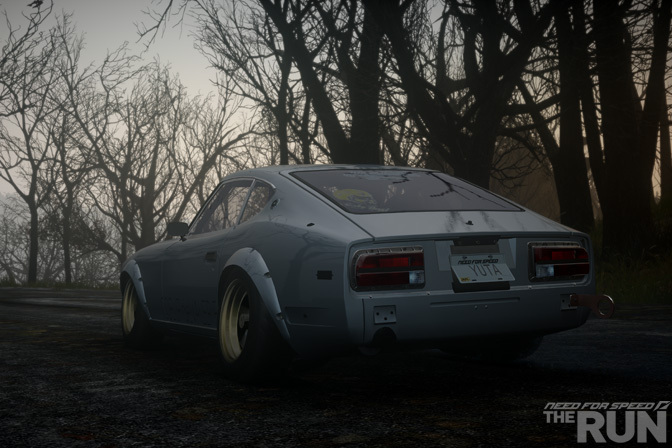 one of the key features of Yuta's Z is the fitment (not debatable)...so why does the in-game model have such fail fitment? yeah, what the hell is up with the fitment on the Z and more specifically, the Supra? Offset fail on the 240!!!! None. I would love to, but I'm not going to buy any NFS games until EA sub-licenses Porsche to Turn 10. I play Forza, and think NFS is rubbish. My opinion on the vehicles chosen to put into this game? NOT FAIR. yeah i agree with Dakota the virtual fitment on yuta's Z is a huge embarrassment to the real thing. fitment on the supra is a bit off too. I'll be driving the RUF RT-12 S in Forza since you guys wouldn't let a real racing game use Porsches. Yes, what happened to Yuta's fitment?! Could someone reading this fix it before it's released? @ Jace - game engines for FPS are drastically different from racing game engines, they process things completely different. Better yet would be to look at rFactor 2 and check their game engine for the next Shift installment. leave the arcade games like this to the console kids with controllers :):) Love how NFS seperated the Shift series from the story games. Those are truly great cars. I love the tail and headlight design. It comes together with the body work. I would buy this but I refuse to buy any EA games until they let Porsches apper in other games. I'm not going to lie to myself again and think this game would actually be fun to drive. I don't mind a little arcade from now and then but the other hyped game here 'Shift' was so horribly undrivable because of the steering lag that I'm saying 'No thank you'. Porsche license is wasted on all of these crap NFS games. I tried to stick with NFSShift2, but I just couldn't get over the awful gameplay dynamics (namely the input lag and physics that have plagued the series since the original game). 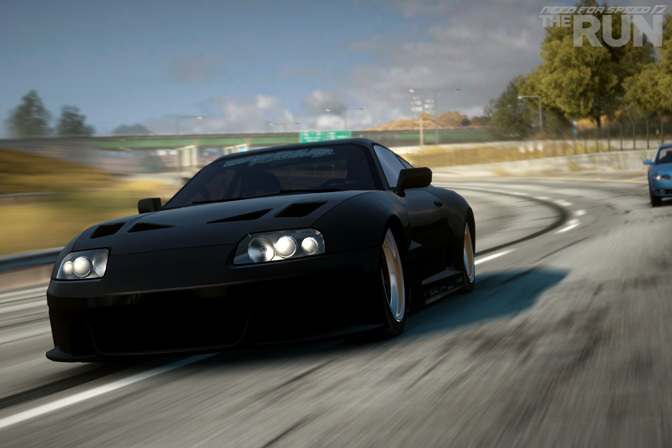 So i guess after you get the 2500 HP supra the game is over right? i mean is their a faster street car than that? Is it even going to be fun to play when you just blow by everyone? The problem is, it's still NFS. The grapics can improve ten fold, but the physics of the game will always be numb to the core. Definitely Yuta's S30. That car defines what street cars truly is, keeping it real, no other artifacts, just simple, raw. bro ima nissan fan screw the supra and the 911 and that ford props for yuta whips that is a sick pic of hat car so ima just say the S30!!! Yuta's definitely. This is very very cool, but there seems to be too much tuck and camber on some of the cars? Makes some of my favorite cars very unappealing. Unless there's active suspension mechanics involved to be viewed during replays or something and the designer didn't want to add a visual stop for the wheels moving up and down into the fender, I don't see a reason not to push the wheels out a bit more and remove some of the camber, not that this should be a factor as all those vehicles would be running high spring rates, unless...there will be traction mechanics based on spring rate and road traction...which would be absolutely overkill for this type of story driven game maybe even for some driving sims. yeah whats up with all the sunk wheels?? thats the one thing thats bugged me in most games... i recognized function>form for racing games but at least give an option for some poke/flush maybe? Horrible fitment on Yuta'z virtual Z. I wonder how NFS The Run will drive? You both do realize that The Run does in fact use Frostbite2 right? The HUGE problem I have with it. Is that for The Run, they have capped the engine at 30fps! If there's any type of game that actually needs fluid 60fps+ for great gameplay, it's racing games. Damn, this game looks so 2005 !